Nowadays, with many genres of games for smartphones out there, it can be really difficult to choose a game that is fun for playing and offers high-quality challenging gameplay. What if there is a game that offers you exciting gameplay that will challenge you to react fast and let you try out your matching skills? We looked and we discovered an arcade game that offers you to do that while having fun – Bird Match 3. What is Bird Match 3? The Bird Match 3 is an arcade game with a highly addictive and interesting gameplay that is especially developed only for android users. 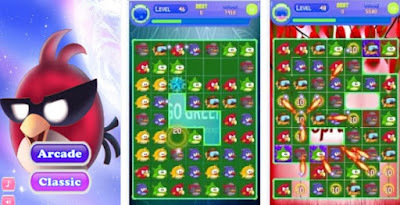 On this game, players get to enjoy the match 3 gameplay while getting high-quality colorful design with highly cool sound effects every time they are matching the birds. The players on this arcade can enjoy the exciting levels while challenging their reactions and having fun winning scores for their matching skills. The player on this fun game arcade will enjoy the exciting matching gameplay and he will be able to choose from two different game modes like the classic mode or the arcade mode. The only task the player needs to do on the game is to match 3 birds that are the same to win some scores. The players just need to match as many same birds as they can to progress in the game and get their high scores. On the game, players can progress in various levels and every next level is more challenging that the one before. The game has an option for pausing so the player can pause the level anytime he needs to. Download the game now on Google Play for free.